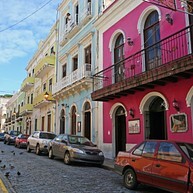 San Juan is the vibrant, cosmopolitan capital of the island of Puerto Rico. Encompassing hundreds of years of history, the city blends Spanish-era historic sites – such as the San Felipe del Morro fortress, with modern entertainment and fashionable shopping districts. More than a million people call San Juan home, while hundreds of thousands of tourists call it their favorite place to vacation each year. Opening hours: Most businesses are open Monday through Saturday from 9am to 9pm and 11am to 5pm on Sundays. Restaurants, stores and entertainment venues in San Juan’s tourist districts are allowed to operate 24 hours a day. San Juan’s perfect mix of old and new sets the stage for an unforgettable trip. The starting point should be Old San Juan, where walking is the norm, but free trolleys are available to take visitors from one site to the next. Nobody who visits the island should leave without seeing the forts, the churches and the cobblestone streets of Old San Juan. This charming old part of town is a great place to explore restored buildings from the 16th- and 17th-century Spanish colonial period. 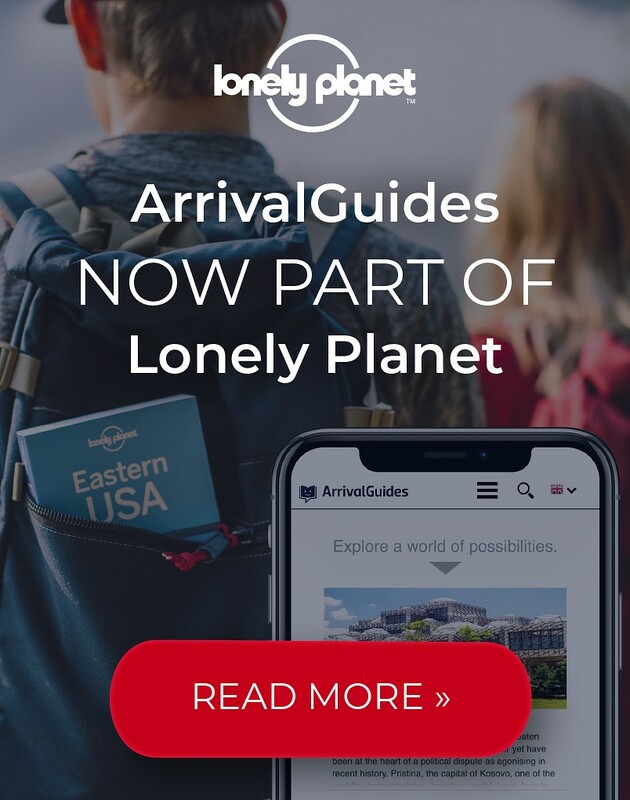 Walk through the narrow cobblestone streets and enjoy a lively and colorful area full of history, culture and personality. 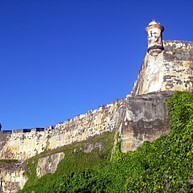 Known as El Morro, this fortress was designed to protect the city from attacks by sea. In 1983, the United Nations declared the imposing fort a World Heritage Site. Today, it is an interesting museum that offers great views, and it is open for visitors to enjoy and explore. This magnificent mansion is the home and office of the governor of Puerto Rico and the governor's family. It has been in continuous use since it was built in 1540. The structure is also known as the Palacio de Santa Catalina (Saint Catalina’s Palace) as it integrates a chapel in keeping with the highly Catholic culture. This small chapel is the embodiment of a centuries-old urban legend. It is said that the cliff-side abbey was built after an unknown horse rider galloped up the Old San Juan street and fell off the edge. It has been restored several times but still proudly shows signs of its age. This grand centuries-old Catholic church evolved from a wood structure into the medieval cathedral that is standing today. It is among the oldest churches in the Caribbean, at almost 500 years. The church also houses the marble tomb of the great explorer Ponce de León. 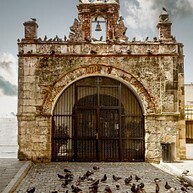 This small square is home to one of the most emblematic sites in Old San Juan. It is a "must-see" landmark located just a couple blocks from the Cathedral, and the site of the famous bronze statue La Rogativa, made by Lindsay Daen. The statue represents a bishop and his companions who helped frighten away the British troops during the 1797 attack on the city by carrying torches and chanting. The museum, which was built in 1992, hosts permanent exhibits exploring New World art and its African heritage, as well as indigenous and archaeological artifacts. 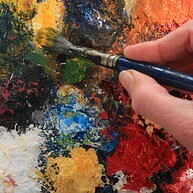 It also hosts exhibits by local artists, creative workshops and other events for the community. The Puerto Rico Museum of Art, which boasts more than ten exhibit halls, includes permanent collections and a compilation of Puerto Rican art from the 17th century to the present. There is also a lovely garden with a pond where you can relax and engage in some people-watching. This is a beach with splashes of graffiti, games of volleyball and plenty of Atlantic surf. 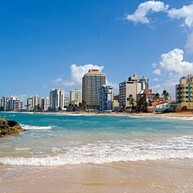 Playa Condado is the most popular beach in the city with smooth and clean sand and warm water. But be aware, there can be some pretty rough waves, so be careful. Parque de las Palomas is a courtyard on top of the city wall, with great views of Bahía de San Juan and the criss-crossing water traffic that includes Brobdingnagian cruise ships. The park gets its name ("Park of the Pigeons") from the hundreds of pigeons that call the park home. 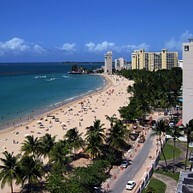 Playa Isla Verde is known as the Copacabana of Puerto Rico. Tanned bodies and beach bums flexing their muscles around the volleyball net can be spotted all over the place. The lovely sandy beach also has numerous restaurants, bars and shops to keep you fed, busy and happy. Playa Ocean Park is a marvellous coast with a dreamy sand beach which is lined with different restaurants and shops. Make yourself comfortable and enjoy a relaxed day in the sun. It is also a great place to snorkel, surf, kayak or long boards, among many other activities. 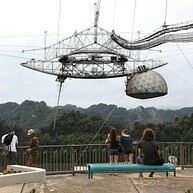 The Arecibo Observatory was the world's largest radar radio telescope for over 60 years, until in 2016 a larger one was constructed in China. It was operated by the National Astronomy and Ionosphere Center of Cornell University for many years, and today makes for a great visit for science enthusiasts. 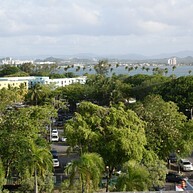 San Juan Botanical Garden has more than 200 species of tropical and subtropical vegetation, and it is the Universidad de Puerto Rico's main attraction. 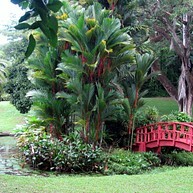 Stroll around the lotus lagoon, walk along the bamboo promenade and admire the orchid and palm gardens. Built in honor of the Spanish princess of Asturias, this street has a broad pedestrian walkway full with flowers, trees and benches as well as historic buildings, restaurant and cafes. 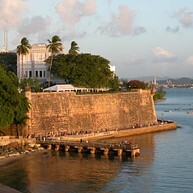 You will find this lovely place on the southern side of the Old San Juan. 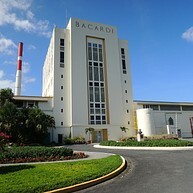 The Bacardí family built a small rum distillery here in the 1950s. Today it's the world's largest, capable of producing more than 20 million cases a year. A basic tour of the visitor center includes one free drink, or you can opt for a mixology class or rum tasting.